With a friendly inviting vibe this eye-catching set of five outdoor drums is easily our most popular product. Rainbow Sambas are fun and easy to play whatever your age and will produce lots of creative musical energy! The drums are suitable for music lessons, outdoor school performances, drumming and music therapy sessions as well as great outdoor play equipment. 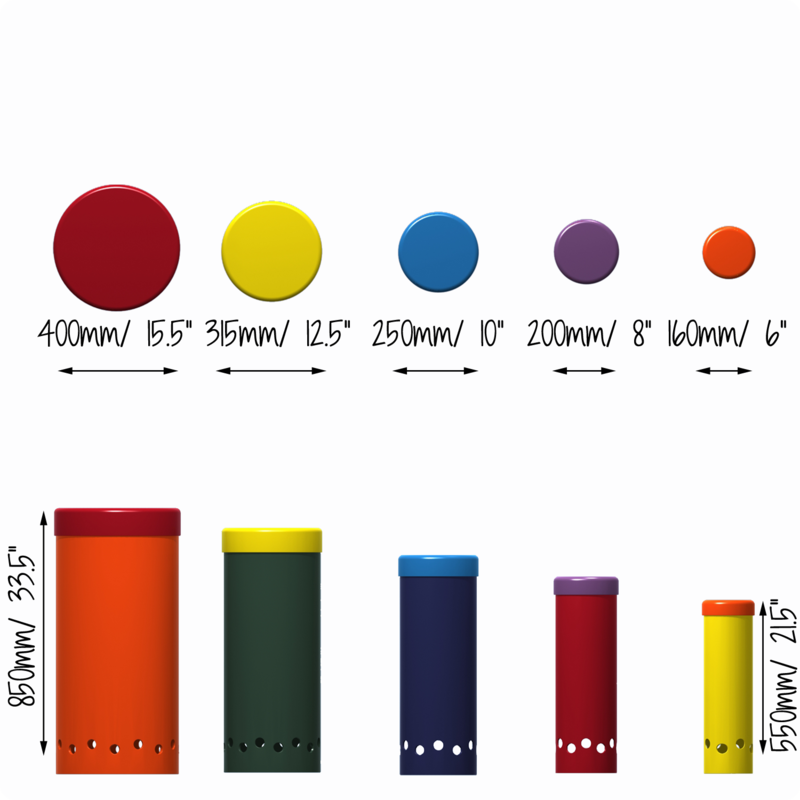 Available in our standard rainbow colours, or for an additional charge you can design your own colour combinations (using the RAL colour matching service) these vibrant drums are suitable for ground or surface fixing. Playing the Rainbow Sambas is a rewarding experience and will shape a love of music, beat and rhythm. A group of friends can come together to drum, someone starts a beat and the others either follow it, or just add their own thing. Perfect to bring a unique tone to the playground and guaranteed smiles.